The next generation of education tools are here - and Devicewear protective cases are the perfect fit! 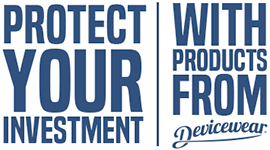 Implementing tablets as part of your schools curriculum can be quite a challenge, but protecting your districts investment won't be with the affordable, quality protection you've come to expect from Devicewear products. We have already provided protective cases and covers to school districts around the US and will work with you to provide case solutions that not only offer the best in overall protection and style, but also do so at a price point that makes sense for your budget and needs. Affordable, quality protection within your budget... how about a little style with that? Yes. Devicewear can also add your school logo and colors for a little extra spirit on your new cases as well! We take pride in the partnerships we have built over the years with our customers. We listen to our customers’ needs and have the ability to respond and provide solutions that help impact their operations. With hundreds of thousands of cases and accessories available, Devicewear can be counted on to be your quality mobile accessory provider. Don’t see what you are looking for? Devicewear has the ability to design & manufacture custom solutions to fit your specific needs. Click Here to view our Schools and Corporate product line. Designed with kids, parents, and teachers in mind, the KeepSAFE case is ideal for s little mishaps. With multiple layers of shock-absorbing protection, the KeepSAFE case provides the extra protection necessary for students and teachers. The hard plastic inner shell holds the iPad in place while the soft silicone outer layer keeps the corners protected. The KeepSAFE case also comes with a screen protector which, when snapped into place, keeps the screen free from fingerprints and smudges while allowing a reliable touch-sensitive experience. All cutouts are specific to the iPad/iPad Mini including headphone jack, speaker/charger, cameras, and mics. 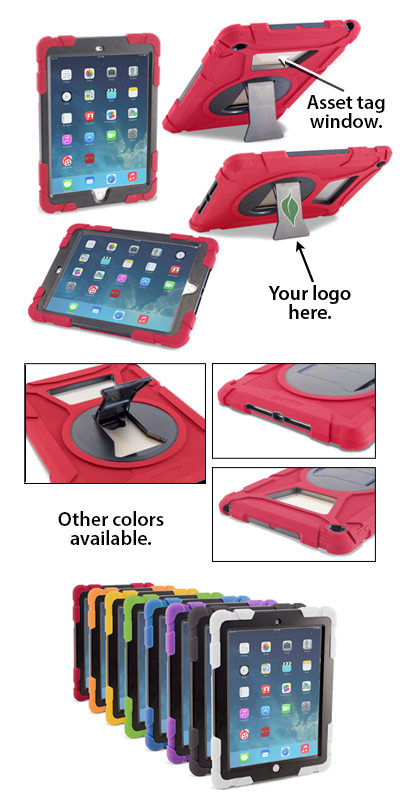 The KeepSAFE case is just what you need in your classroom or work environment to help keep your iPad safe and sound. The “KeepSAFE 360” for iPad. Click Here for more information on the KeepSAFE line of products.